I am a researcher in Laboratory Astrochemistry. While the focus of my PhD project was on gas-phase ion-neutral reactions and spectroscopy, I no switched fields to solid state astrochemistry. Currently I am investigating planet forming collisions (using microgravity environments) and the strucutral properties of interstellar water ices (using neutron scattering facilities). My research and teaching interests are focused upon the relationship between policy and psychology. I'm interested in how policy and discourse "shapes" us. I have published a lot in this area and am authoring my second book around educational policy and its link to motivation. 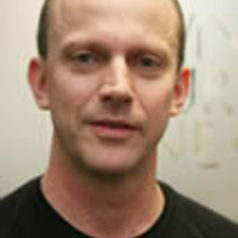 Sam Jones is an Associate Professor in Development Economics at the University of Copenhagen, Denmark. Sam specializes in research in applied macroeconomics, foreign aid effectiveness, labour markets and education quality, with a special focus on sub-Saharan Africa. Previously, Sam worked for the Bank of England and spent seven years supporting the Government of Mozambique. Since 2012, Sam has collaborated with Twaweza in the large scale learning assessment exercises undertaken by Uwezo across East Africa. 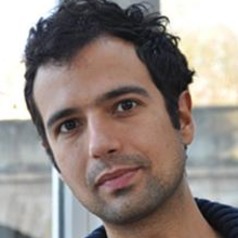 Samuel is an ESRC funded doctoral researcher based in the Sussex Centre for the Study of Corruption (SCSC) interested in party funding regimes and corruption in Western Europe. 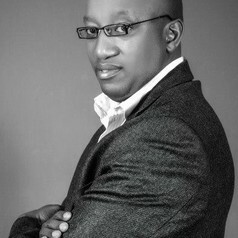 His thesis is titled: Party Funding Regimes and Corruption: Linkages, Relationships and Trends. The research is a comparative study of three advanced democracies in Western Europe (Denmark, France and the UK) and investigates whether a certain type of party funding regime (e.g. public or private funding) leads to the prevalence of a certain type of corruption. 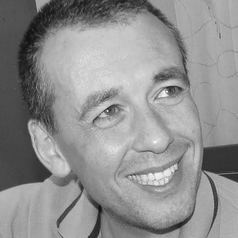 There has been little research - academic or otherwise - which attempts to investigate these linkages, the hypothesis is that certain types of party funding regime are not necessarily more corrupt than other types; but that perhaps different types of corruption occur in different types of party funding regime. It is important to understand more about how democracy is funded and how that might lead to specific types of corrupt practices. 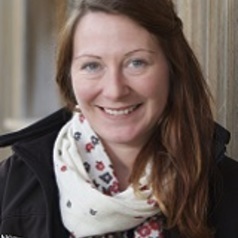 Dr Ward's research interests are linked to human-animal interactions and animal husbandry and management techniques to investigate impacts and improve captive welfare and reintroduction of species. Previous work has investigated the impacts of stockmanship on the behaviour and welfare of zoo species and the impacts on behaviour, welfare and production of different management techniques during lambing on a commercial sheep farm. Trustee of The Sumatran Tiger Trust an international charity working to protect the Sumatran Tiger and its habitat. Secretary of the South Lakes Red Squirrel Group working to preserve the UK red squirrel population and encourage local support and populations of the red squirrel in the south lakes area. Samuel Kerstein (PhD, Columbia University) is Professor of Philosophy. His research focuses on Kant's moral philosophy, normative ethics, and bioethics. Several of his current projects stem from his book How to Treat Persons (Oxford, 2013). For example, he is developing a Kantian conception of the dignity of persons and exploring its implications for issues in bioethics, including the fair distribution of scarce, life-saving resources and moral constraints on medical research. Sam Redman specializes in 19th and 20th century U.S. history with a focus on culture and ideas. In 2012, he completed his doctoral dissertation, "Human Remains and the Construction of Race and History, 1897-1945" at the University of California, Berkeley. At Berkeley, Redman worked at the Regional Oral History Office (ROHO) where he completed dozens of oral history interviews on a wide variety of subjects. At ROHO, he served as Lead Interviewer for the Rosie the Riveter / WWII Home Front Oral History Project and the Japanese American Confinement Sites Oral History Project - both in collaboration with the National Park Service. Working with a team at ROHO, he launched a project documenting the oral history of the San Francisco - Oakland Bay Bridge resulting in the completion of over a dozen new interviews with men and women who worked on the bridge. 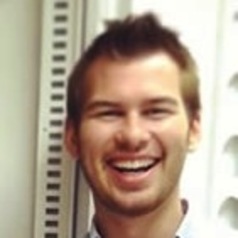 Before graduate school, he worked in several museums including the Field Museum of Natural History, Colorado History Museum, and Science Museum of Minnesota. He is the author of "Historical Research in Archives: A Practical Guide" published by the American Historical Association in 2013. His first book, "Bone Rooms: From Scientific Racism to Human Prehistory in Museums", was published by Harvard University Press in March, 2016. 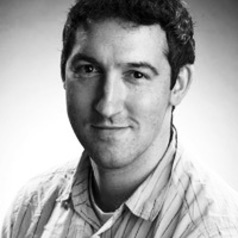 Sam Holloway is an Associate Professor of Strategy and Entrepreneurship at the University of Portland. His research on business model innovations examines how strategy affects the design of organizational architectures and has been published in Academy of Management Journal, Strategic Management Journal, Academy of Management Best Paper Proceedings, Academy of Marketing Science Review, and Journal of Strategic Innovation and Sustainability, among others. His current research includes studying the business side of craft brewing. 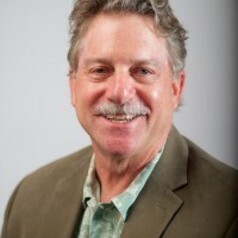 Based upon his research, Dr. Holloway (and fellow UP Professor, Dr. Mark Meckler) launched CRAFTINGASTRATEGY.COM, a global online learning community whose mission is to empower craft brewing entrepreneurs to run profitable businesses, so they can create more jobs and transform their local communities for the better. 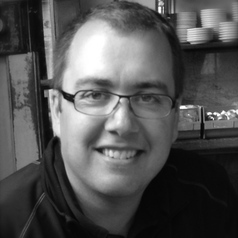 Additionally, Sam teaches undergraduate and MBA courses in strategy, entrepreneurship, and innovation. Sam also helped launch the Pamplin School of Business’ first online courses as part of the school’s Continuing Education Certificate: Craft Beer Business Strategy. African Development Economics; Entrepreneurship; Risk Management; Strategy; African Leadership; African Ethics; African Technology Development; ICT; African Logistics; Cost Management; Local Government. Dr Galea is a physician and an epidemiologist. He is Dean and Professor at the Boston University School of Public Health. Prior to his appointment at Boston University, Dr Galea served as the Anna Cheskis Gelman and Murray Charles Gelman Professor and Chair of the Department of Epidemiology at the Columbia University Mailman School of Public Health where he launched several new educational initiatives and substantially increased its focus on six core areas: chronic, infectious, injury, lifecourse, psychiatric/neurological, and social epidemiology. He previously held academic and leadership positions at the University of Michigan and at the New York Academy of Medicine. In his own scholarship, Dr Galea is centrally interested in the social production of health of urban populations, with a focus on the causes of brain disorders, particularly common mood-anxiety disorders and substance abuse. He has long had a particular interest in the consequences of mass trauma and conflict worldwide, including as a result of the September 11 attacks, Hurricane Katrina, conflicts in sub-Saharan Africa, and the American wars in Iraq and Afghanistan. This work has been principally funded by the National Institutes of Health, Centers for Disease Control and Prevention, and several foundations. He has published over 500 scientific journal articles, 50 chapters and commentaries, and 9 books and his research has been featured extensively in current periodicals and newspapers. His latest book, co-authored with Dr Katherine Keyes, is an epidemiology textbook, Epidemiology Matters: a new introduction to methodological foundations. Dr Galea has a medical degree from the University of Toronto, and graduate degrees from Harvard University and Columbia University. 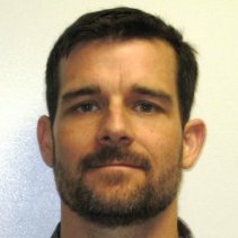 He was named one of TIME magazine’s epidemiology innovators in 2006. He is past-president of the Society for Epidemiologic Research and an elected member of the American Epidemiological Society and of the Institute of Medicine of the National Academies of Science. Dr Galea serves frequently on advisory groups to national and international organizations. He has formerly served as chair of the New York City Department of Health and Mental Hygiene’s Community Services Board and as member of its Health Board. 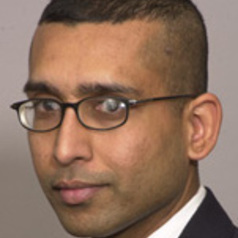 Sanjay Goel is an Associate Professor in the Information Technology Management Department (School of Business) at the University at Albany, SUNY. 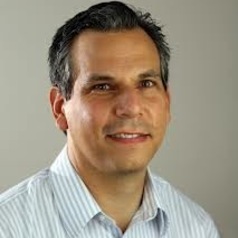 He is also the Director of Research at the New York State Center for Information Forensics and Assurance at the University. Before joining the university, he worked at the General Electric Global Research Center. 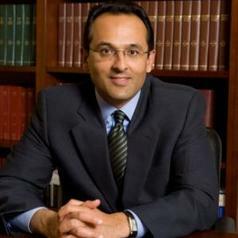 Dr. Goel received his Ph.D. in Mechanical Engineering in 1999 from Rensselaer Polytechnic Institute. 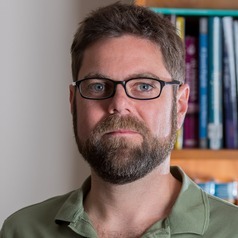 His current research interests include security & privacy that focus on information security along with privacy behavior; innovative education and pedagogy; and also security models i.e. biological models, risk models, and security policies. He also conducts research on forensics and cybercrime as well as on critical infrastructure, the first explores three fields: copyright and media piracy; botnets; and networks forensics. The second focuses on smart grid, including privacy in smart grid data analytics; impact of security and terrorism on financial markets; resilient transportation; and resilient service oriented architecture. Dr. Goel research interests also include hardware Trojans and secure chip design, and cyberwarfare. He is invited to present seminars at several conferences in information security with topics including, wireless security, hacking, botnets, etc. and has several publications in leading conferences and journals. Dr. Goel teaches several classes including, Computer Networking & Security, Information Security Risk Analysis, Security Policies, Enterprise Application Development, Database Design and Java Language Programming. He received his Medical Doctorate from UCLA, completed a medical residency and chief residency at the University of California at San Francisco (UCSF), and obtained a Masters in Public Health (as a Robert Wood Johnson Clinical Scholar) from the University of Washington in Seattle. He has been a visiting professor at over 60 universities and hospitals in the United States, Europe, and Japan, and has active research studies underway with investigators in Switzerland, Italy, Japan, Australia, and Thailand. 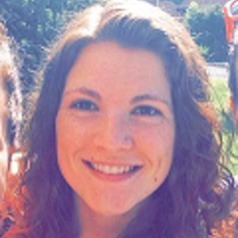 Sanne Weber is a PhD candidate and Research Assistant at the Centre for Trust, Peace and Social Relations (Coventry University). Her main research interest is transitional justice and gender. 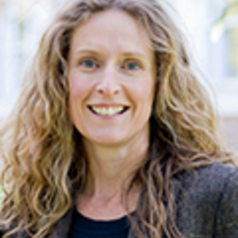 She is particularly interested in analysing how conflict affects gender relations, whether and how transitional justice mechanisms are capable of addressing and transforming gendered and other structural inequalities, and how transitional justice mechanisms can better respond to the needs and demands of survivors of conflict. She is currently undertaking fieldwork in Colombia, analysing the gendered dynamics of Colombia’s land restitution and reparation process. 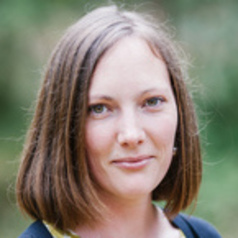 Previously, Sanne worked for over five years as a researcher, gender policy advisor and coordinator for human rights organisations in Guatemala on projects related to gender-sensitive transitional justice and the prevention of violence against women. 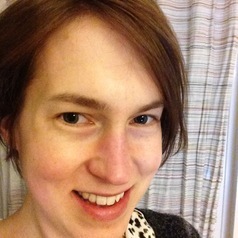 Sanne holds MAs in the Theory and Practice of Human Rights from the University of Essex and History of International Relations from Utrecht University. 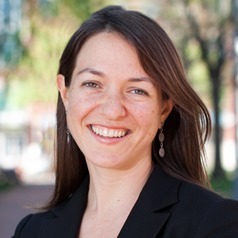 Sara Hagemann is Assistant Professor at London School of Economics and Political Science, where she joined the European Institute in September 2009. 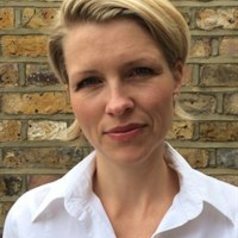 In her work, Sara draws on a mix of academic and policy experience as she has held research and policy positions in Brussels, Copenhagen and London. Sara has published extensively on European affairs, in particular on transparency and accountability in political systems, EU policy-making processes, EU treaty matters, the role of national parliaments, and the consequences of EU enlargements. Sara is a frequent commentator on EU affairs in both international and national media. She is the Co-Founder and General Editor of the LSE’s popular European Politics blog EUROPP. 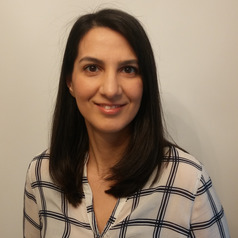 Before joining LSE, Sara worked as a Policy Analyst at the Brussels-based European Policy Centre (EPC), where she was responsible for its Political Europe programme. She has also held posts at the Centre for European Policy Studies (CEPS), and in the Danish Ministry of Foreign Affairs. Sara is the Co-Founder and former Managing Director of VoteWatch.eu (www.votewatch.eu) an online initiative that monitors EU decision-makers’ voting records. 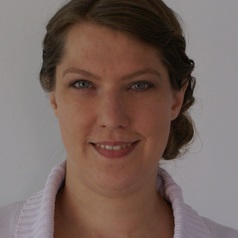 She is currently the Treasurer and Vice-Chair of the organisation. Sara has been awarded an ESRC Impact Accelerator Grant through the LSE’s Institute of Public Affairs, due to commence in September 2016 until July 2018. Sara is a cultural sociologist. Her research interests include work, identity, disenchantment and authenticity. Her forthcoming book is about the significance of work in the lives of contemporary Australians, with a focus on vocation and the work ethic. 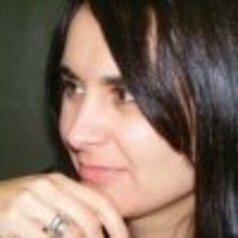 Sara is co-convenor of the TASA Cultural Sociology Thematic Group. She also undertakes research in higher education pedagogy. Dr Sarah Kaine lectures in HRM and IR in the UTS Business School. 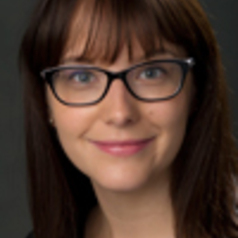 Her research focuses on several broad themes: employee representation, the development and exercise of employee voice, the formal and informal regulation of employment relations and HRM and sustainability. Specifically Sarah is interested in innovation in employment regulation – beyond the bounds of traditional labour law, Corporate Social Responsibility and its link to industrial relations and the role of leadership in promoting sustainability and CSR. Prior to becoming an academic Sarah worked as an industrial relations practitioner and a consultant to not-for-profit organisations. In 2016, Saul Eslake was appointed as the University of Tasmania's inaugural Vice-Chancellor’s Fellow. 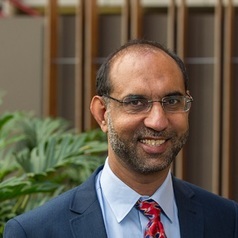 A focus of his efforts in the role will be the University’s Institute for the Study of Social Change, where he will provide advice and leadership on new research programs designed to analyse and address the social and economic challenges facing our local community and nation as a whole. His work also will centre upon the importance of education to Tasmania. This is a part-time role; Saul is also an independent consulting economist. 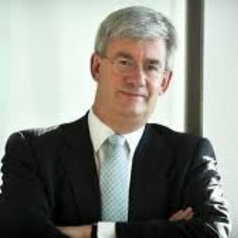 Saul Eslake has worked as an economist in the Australian financial markets for 25 years, including 14 years as Chief Economist at the Australia & New Zealand Banking Group (ANZ). 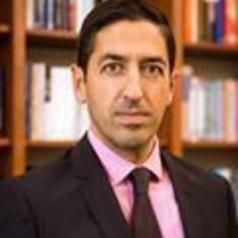 After leaving ANZ in mid-2009, Saul was Director of the Productivity Growth program at the Grattan Institute, a non-aligned public policy 'think tank' affiliated with the University of Melbourne, and a part-time Advisor in PricewaterhouseCoopers' Economics & Policy practice. 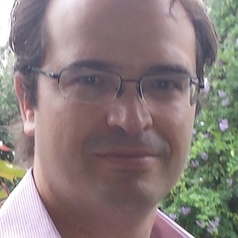 From 2011 to 2015, Saul was Chief Economist at the Australian arm of Bank of America Merrill Lynch, before establishing a private consultancy in Tasmania. Saul is a non-executive director of Hydro Tasmania (the Tasmanian state-owned electricity generator), and Chair of the Board of Ten Days on the Island (Tasmania's biennial multi-arts festival). 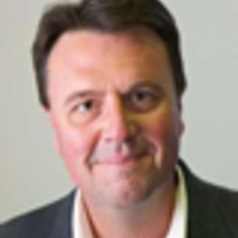 He has previously been a member of the National Housing Supply Council and the Australian Statistics Advisory Committee; Chair of the Tasmanian Arts Advisory Board; and a non-executive director of the Australian Business Arts Foundation. He was also a member of the Howard Government's Foreign Affairs and Trade Policy Advisory Councils, and of the Rudd Government's Long-Term Tourism Strategy Steering Committee. My research examines the social implications of new media, with an emphasis on mobile telephony. Current projects investigate how mobile communication patterns are linked to both the private and public spheres of social life, such as social networking and civic engagement. Several of these projects use a comparative approach to situate the role of mobile communication technology in the larger media landscape and across different societies. 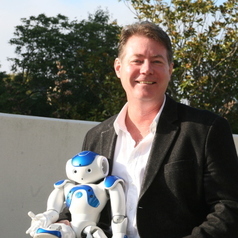 Scott Ewing is a Senior Research Fellow at the Swinburne Institute for Social Research and at the ARC Centre of Excellence in Creative Industries and Innovation. 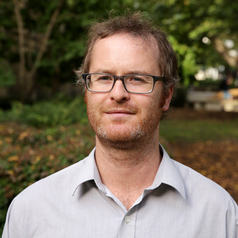 He has fifteen years experience as a social researcher, both at Swinburne and in the private sector. He is currently managing the Australian component of the World Internet Project, a global survey of internet use and non-use. 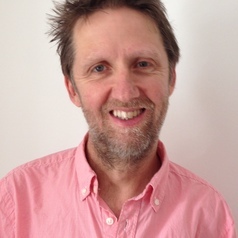 Scott Lucas became Professor of International Politics in 2014, having been on the staff of the University of Birmingham since 1989 and a Professor of American Studies since 1997. He began his career as a specialist in US and British foreign policy, but his research interests now also cover current international affairs – especially North Africa, the Middle East, and Iran – New Media, and Intelligence Services. Professionally, I spent 17 years working in software engineering for organisations such as British Telecom, Telstra Australia, Fitch Ratings, James Cook University and Lumata. Academically, I have recently returned to university to do a doctoral thesis on robot ethics. The working title is "Moral Code: Programming the Ethical Robot." To date, I have given 3 conference papers on programming ethics into robots. Seda Erdem is a lecturer in Economics at the University of Stirling. Her research interests broadly include applied microeconomics, public health economics, behavioural economics and food and resource economics. More specifically, she is interested in consumer choice behaviour, decision-making and eliciting preferences in the fields of health, agri-food and environment. I work on two main lines of research. The first deals with political behaviour and comparative politics questions in Europe, and the second deals with the impact of migration processes on public attitudes and political outcomes. More specifically, I have devoted some time now to analyse how the immigration issue is incorporated into patterns of political competition and affects electoral outcomes, both in countries with and without a prominent anti-immigrant party in Parliament. Regarding my political behaviour and comparative politics line of research, I am working on a number of projects assessing the conditional effect of institutions, media discourse and party system characteristics on different forms of voting, including proximity, directional, and valence voting. I am also studying the interaction between power-sharing institutions and traditional individual-level predictors of electoral turnout. Finally, I am also interested in the formation of subjective perceptions of the national economy, and the moderating effect of personal socioeconomic circumstances and party messages in this process. As for my research on immigration, I mostly analyse patterns of xenophobia and racism from a comparative perspective in Europe. More specifically, I deal with the direct or indirect impact of several predictors on attitudes towards immigration, namely personality traits, local and national levels of ethnic diversity, and ideological predispositions. More recently I have also implemented longitudinal analyses of xenophobia over individual life cycles using panel data, and survey experiments assessing the impact of different forms of ethnic diversity on the willingness to redistribute resources in a given community. I have a medical degree from University of Witwatersrand in South Africa and I am a specialist physician with Fellowship from several international colleges including FRACP. Shabbir Ahmad completed his PhD in Econometrics at the UQ School of Economics in 2014. He also holds PhD in Economics with specialization in financial economics. His areas of research include efficiency and productivity analysis, environment and sustainability, and financial regulation and governance. He has 15 year's university research and teaching experience in Pakistan and Australia. His areas of research focus on resource and financial sectors performance measurement at micro level. He has devised novel methodologies to measure business growth and innovation, with particular focus on agriculture sector. Currently, he is working as a Postdoctoral Research Fellow at AUstralian Institute of Business and Economics (AIBE), the University of Queensland (UQ), Australia. Previously, he held research positions at the Centre of Social responsibility in Mining (CSRM), Sustainable Minerals Institute (SMI), UQ. Currently, he is leading Australian Centre for International Agriculture (ACIAR) funded project Farmer's capabilities, productivity, and profitability: A case study of smallholders in selected agro-zones in Pakistan". He has delivered numerous projects for international agencies on sustainable development and productivity focused on mining, manufacturing and financial sectors. His research activities span to both public and private sectors with a focus on social and economic impact assessment. He has been involved in these projects to develop and apply a variety of tools for economic analysis and the resulting policy implications. He is also an Associate of the World Bank-sponsored South Asian Network for Development and Environmental Economics (SANDEE). 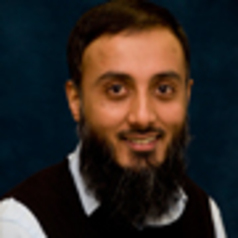 Shabbir is a senior lecturer in economics and manages the MSc Economics suite of programmes (MSc Economics, MSc Financial Economics and MSc Business Economics) in University of Huddersfield. Law professor in human rights, refugee and asylum law, public international law, for the past 6 years. Attorney with practice experience in international courts and tribunals, before UN bodies, and within US immigration courts. 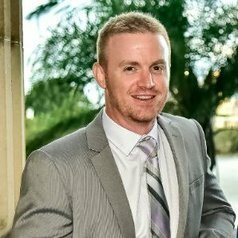 Shane is a graduate of Macquarie and Griffith University who is interested in terrorism, international security and humanitarian related issues. 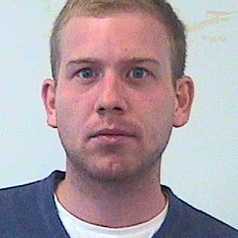 Shane has a Bachelor of Arts in Security, Terrorism, and Counter Terrorism studies. A Masters of Policing, Intelligence and Counter Terrorism and a Graduate Diploma in Criminological Research Studies. Shane is currently pursuing a PhD at Griffith University looking at global counter-radicalisation and deradicalisation policies.